Instructions for submitting your essay electronically: To submit your essays, please log onto TCNJ’s new course management system Canvas. To log on, please go to canvas.tcnj.edu and log onto the system using your TCNJ username and (email) password. Once you are logged into Canvas, please look under the Courses menu. You will see an FSP course listed. Once you select the FSP course, you will be taken to its home page. Directions for submitting your essay and commenting on the essays of your fellow students will be found on the course’s home page. If you experience any problems, please contact the SRP coordinator at srp@tcnj.edu in the Liberal Learning office. Also, please bring a copy of your essay along with you to your summer reading session on August 25th. You might want to reference it during the discussion. The Cultural and Intellectual Community Program Council (CICPC) selects the annual intellectual theme, funds related programming during the academic year, and selects the summer reading book which begins our year-long exploration of the intellectual theme. Justice is the theme for CICPC sponsored programs in 2014-2015. Faculty, staff, and students from around the college will present speakers, film series, performances, and other events related to the theme. Justice means upholding what is just; but who determines what is just? How is justice perceived and defined across time or cultures? Is justice contextually bound or does it represent a universal truth? How is justice related to notions such as fairness, equality, generosity, opportunity and love? These questions highlight that justice is not confined to the criminal justice system. It can be considered in social and economic contexts, and related to resources and sustainability. 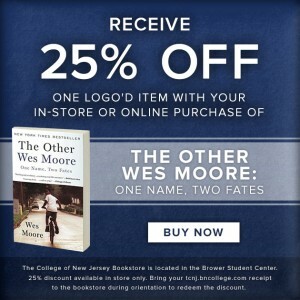 To quote Cornel West, “Justice is what love looks like in public.” The Other Wes Moore: One Name, Two Fates was selected as the summer reading text because it embodies the theme of justice. With the theme of “Justice” in mind, please be prepared to discuss The Other Wes Moore with your fellow students and a faculty/staff facilitator in your Summer Reading discussion group on August 25, 2014. In order to prepare for your discussion, please write a response of at least 500 words to one of the questions that follow these instructions. Your essays should draw evidence from throughout the book, but you should not quote at length. You will post this response by Wednesday, August 20 to a discussion board on the campus learning management system Canvas. Additional specific directions will be posted on the Summer Reading Program website by August 1st. Furthermore, you are also required to comment on at least two other students’ essays in a substantive way (at least 100 words). Please select a student who has not received feedback for your comments rather than responding to the first entry you read. Also please do not make grammatical comments; your goal is to focus on the ideas discussed by other student rather than the writing quality. You will want to write your response and your comments in a word processing program and then paste your work into CANVAS. Your writing and participation in the summer reading program should be consistent with the standards of academic writing and integrity. Please indicate the page number for any quotation. In your responses to other students, please be respectful, as you would be in any academic setting. In college, you will encounter students of various backgrounds, communities, and viewpoints. Part of college is learning how to disagree in a polite and constructive way that promotes dialogue. 1) Wes Moore poses the question, “Do you think we are all just products of our environments? By comparing and contrasting the experiences of the two Wes Moores, show how they are or are not products of their environments. In what ways do you believe your environment shapes or has shaped you? 2) In the stories of the two Wes Moores, can you identify where personal accountability comes into play? In what ways would it be possible for the boys to sustain a sense of personal accountability and agency? 3) Show how the communities of the two Wes Moores view women and men. What role do you believe fatherhood plays in their lives? How do their mothers influence their beliefs and actions? The Cultural and Intellectual Community Planning Council, a college committee made up of faculty, staff, and students chose the book. It is an engaging book that addresses both this year’s intellectual theme. Why does TCNJ have an “Intellectual Theme” every year? The Intellectual Theme provides a unifying framework to events on campus: film series, lecture series, art exhibits, and art performances. One part of the college experience is learning to take advantage of extra- and co-curricular events. You are all strongly encouraged to attend the events of Community Learning Day, and some of you will be required as part of your major to attend a number of events. Nonetheless, the habit of seeking out intellectual engagement across a variety of topics, not just within your own field, is central to your experience as a student and as an intellectual. Why is there a summer reading? The first-year class rarely has an opportunity to share a common intellectual experience. The Summer Reading Program is designed to provide an intellectual touchstone to kick-off your first year as part of a thoughtful community of life-long learners who value cultural diversity and the spirit of free inquiry. In addition, the summer reading program allows you to meet faculty and staff from across the college. We want all of you to have an experience reading a serious book about current events, or about issues of current relevance, that complements the experiences in your living/learning community. In addition, we hope that discussions of this book will help to awaken you to the joy of learning for its own sake, outside of the processes of grading and credentialing that has become so important for most college students. Will I get a grade on my essay? Completing a satisfactory essay is a requirement of the summer reading program. Students whose essays are found unsatisfactory may be required to do additional work or participate in next year’s summer reading program. Your essays will be forwarded to the facilitators for the discussion groups for the Summer Reading Program and to your First Seminar instructor. Many of the facilitators will also be First Seminar instructors. Your FSP instructor will decide whether to give you feedback on your writing and whether or not to include the summer essay as part of your FSP course grade. You will discover in your first year of college that people learn best when they use all their intellectual faculties—reading, writing, speaking. The purpose of the essay is to give you an opportunity to think critically about the book and to prepare you to speak confidently about it in your discussion session and with your peers prior to the discussion.